This post was sponsored by Café Bustelo® as part of an Influence Central campaign and all opinions expressed in my post are my own. 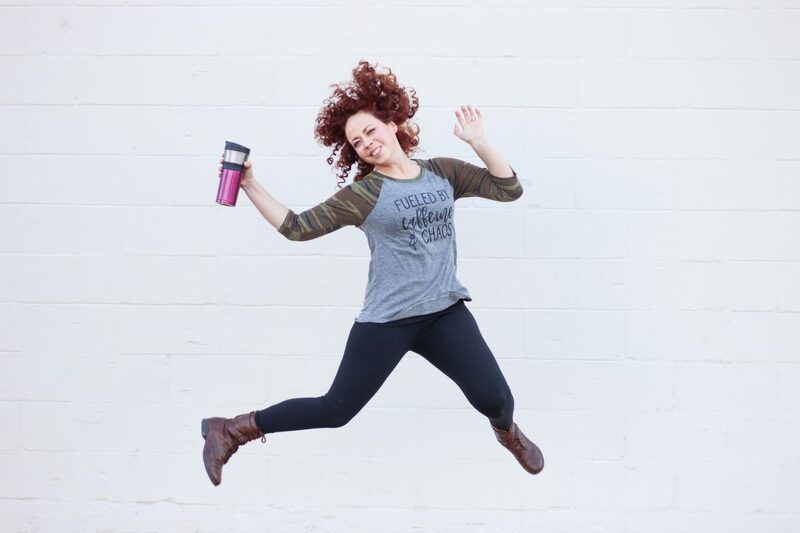 Since we are talking about Hispanic Heritage Month, I thought it would be fun to share some of the ways I start my day, with our traditions in my heart and of course a big bold flavorful cup of coffee. I am Colombian after all! Did you know that Colombia is one of the three highest producers of coffee in the world? Growing up, every time we went to someone’s house, we were offered a nice cup of coffee and a whole lot of love. Even now, every time my mom is near, I can smell the coffee when I open my eyes in the morning. It’s a Colombian thing, coffee almost equals love. Our house is always very loud, busy, and happy! So the early mornings, when the sun is starting to peek out, is my time alone, to prepare for the day. When I first wake up, I just want to go back to sleep. But then I wash my face and start thinking about my coffee. I hurry down the stairs to do the two things that make me feel ready for the day. 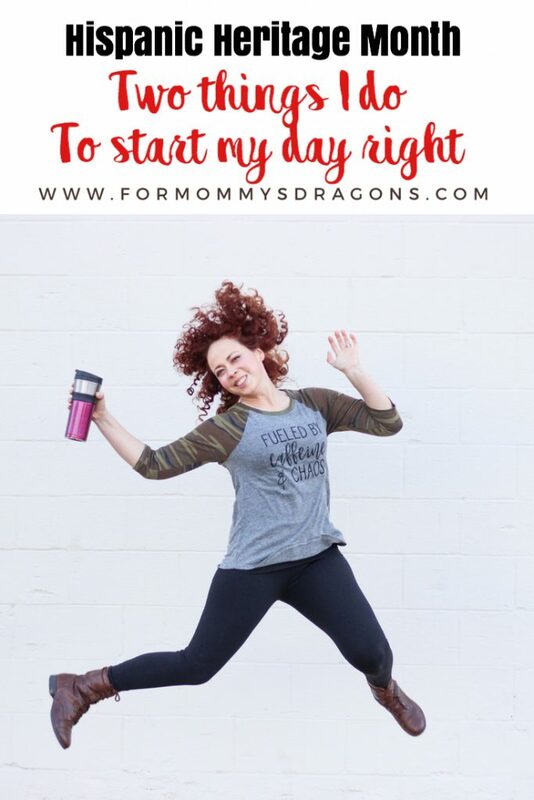 We all know that as a mom of 4 boys, I’m going to be needing a good cup of coffee to start my day! Let me tell you about one of my favorites. 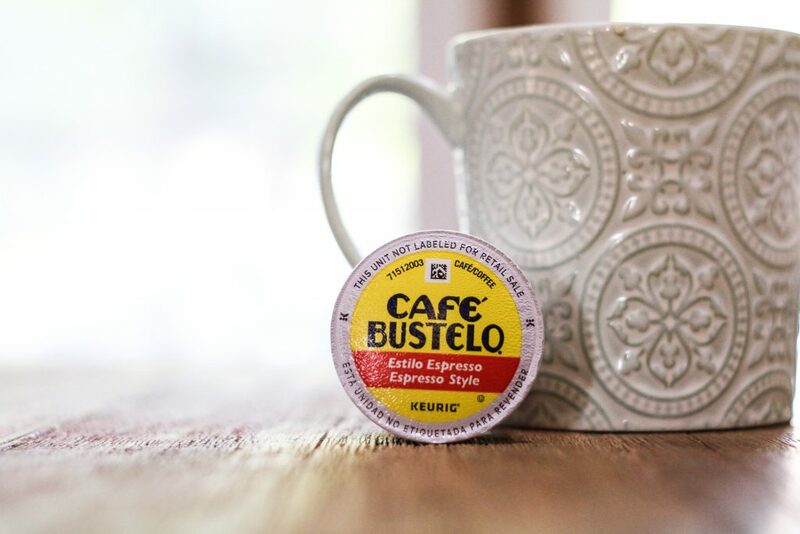 Café Bustelo® is a hidden gem that not everyone knows about. It is a great quality Hispanic coffee with a rich and strong flavor that stands up to all the cream and sugar that your heart might desire! I buy mine at Target, because sometimes I go there, or a lot of times, or once a week. Who knows? 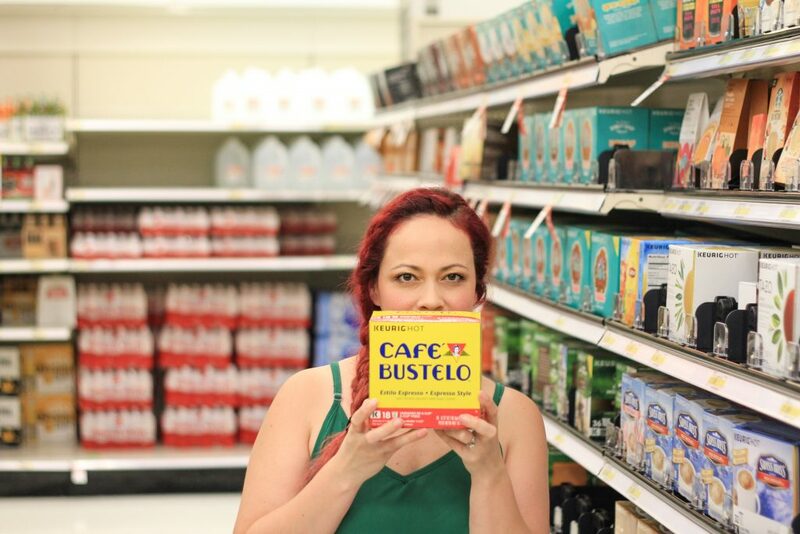 Target has all of the different varieties of my beloved Café Bustelo. It comes ground, whole beans, brick, instant and of course in K-Cup® Pods. So I know that when I need it, I can find it at Target. I like to grab a box of the K-Cup Pods for those extra sleepy mornings or for the occasional way-too-long-day, especially when I’ve had to unplug the toilet one too many times. You know what I mean? I just stick a little Café Bustelo K-cup Pod in my Keurig and boom! The precious black liquid, saves the day. If you love Target like I do, you probably use the Target Cartwheel app! 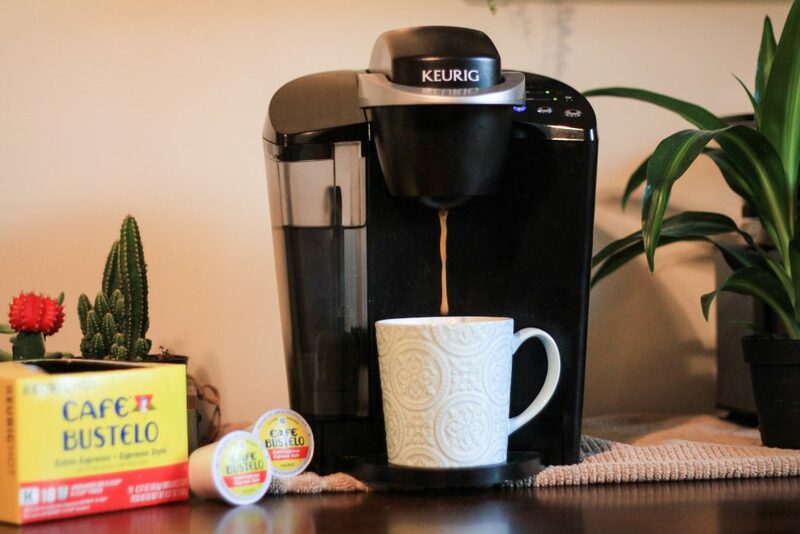 Visit your local Target today and use this Cartwheel offer to get 10% off your Café Bustelo® K-cup® Pods, you won’t regret it! The boys are always hungry. Yes always. When they wake up in the morning, they give me big hugs, and before they let go, they are asking me for food. On this Hispanic Heritage Month, we have had fun making a lot of different foods that my family has always loved. One of my late daddy’s favorite dishes was Calentado. 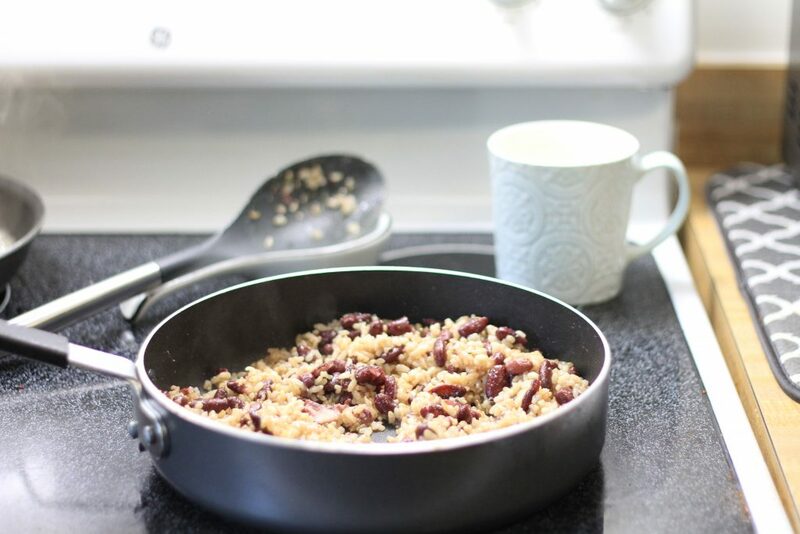 Calentado means “heated” which consists of taking the left over rice and beans from the night before and frying them up together in the morning. They taste so good this way! 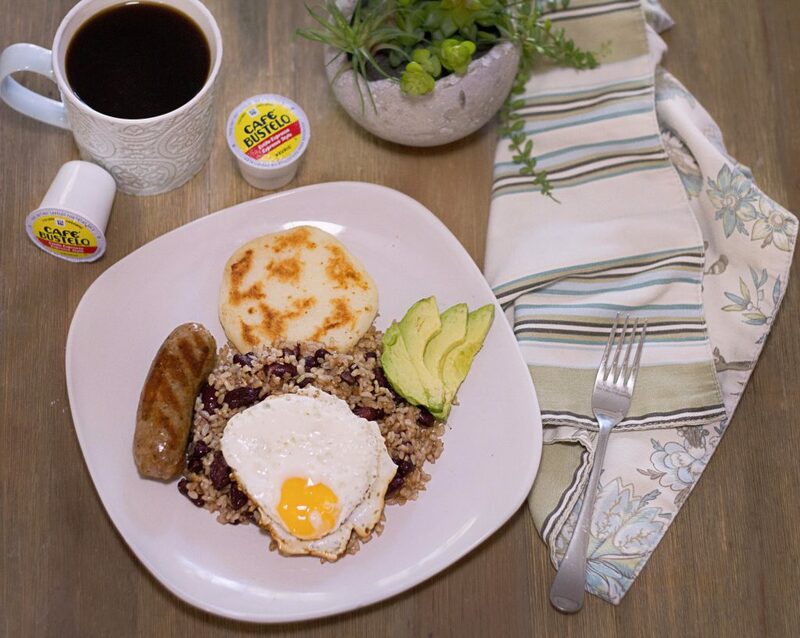 We serve them with a fried egg, a grilled chorizo and a freshly made Arepa. Arepas are the other big staple in the Colombian kitchen. It’s a round and flat corn cake that we ate every day, sometimes for breakfast, but really at any time of the day! My boys know arepas and they dance with joy when they hear that I am making a big batch of them! Of course, they also love the idea of a nice plate of calentado in the morning. And for me, my calentado breakfast, always has to be acompanied by a hot and rich flavored cup of my Café Bustelo. These fun meals have brought about so many memories, and so many stories have been told to my little boys about where mommy comes from and their Hispanic Heritage. I am so proud of my little Hispanic American boys! I hope that one day they will be a part of someone’s Hispanic Heritage Month lecture. We hope to raise them to change the world! interesting post, and lovely photography. There is something special in recipes from our heritage or from when we grew up. Nostalgia. That you share so much with your boys is sweet because I think that families are where memories and traditions continue. Yessss girl. I can’t start my day without a strong cup of coffee either! Amazing way to start our day. I will follow this. Ꮋi! Someone in my Facebook group shared this website with us so I came to check it out. Love your post and pics!